In this work, I used the geometric diamonds, referencing my associations to north-western New South Wales and the traditional markings of the Kamilaroi people. 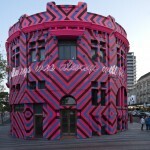 Always was, always will be by Reko Rennie is a fascinating mix of traditional imagery and contemporary techniques. This work features geometric diamonds, referencing the artist’s associations to north-western NSW and the traditional markings of the Kamilaroi people. 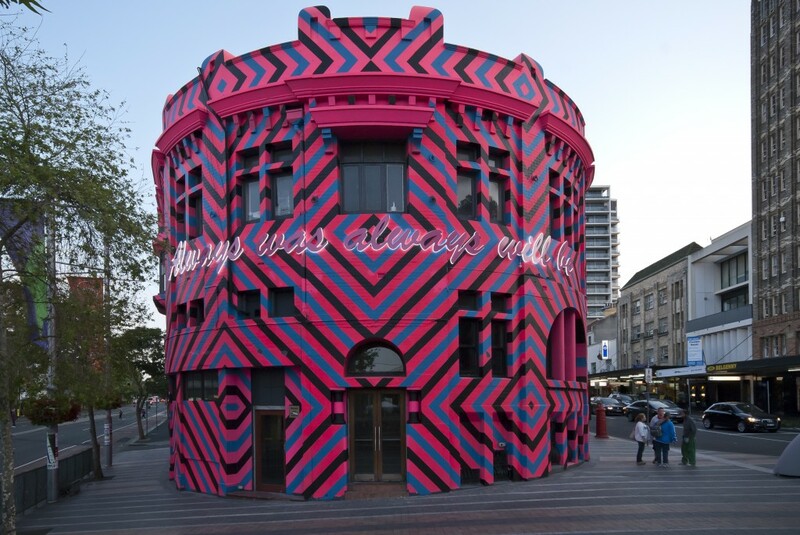 With Always was, always will be Rennie brings this representation into a very public forum that due to its diurnal patterns allows it to be seen by a broad range of people. 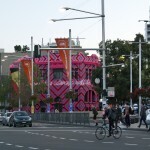 Fluorescent paints in pink, black and blue are applied to the T2 building at 1-5 Flinders Street, a former Commonwealth Bank built in 1910. 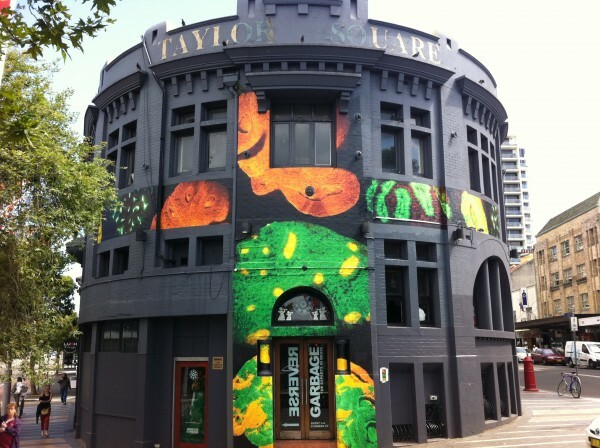 The scale, bold design and vibrant colours overwhelm the architecture of the building and dominate Taylor Square. 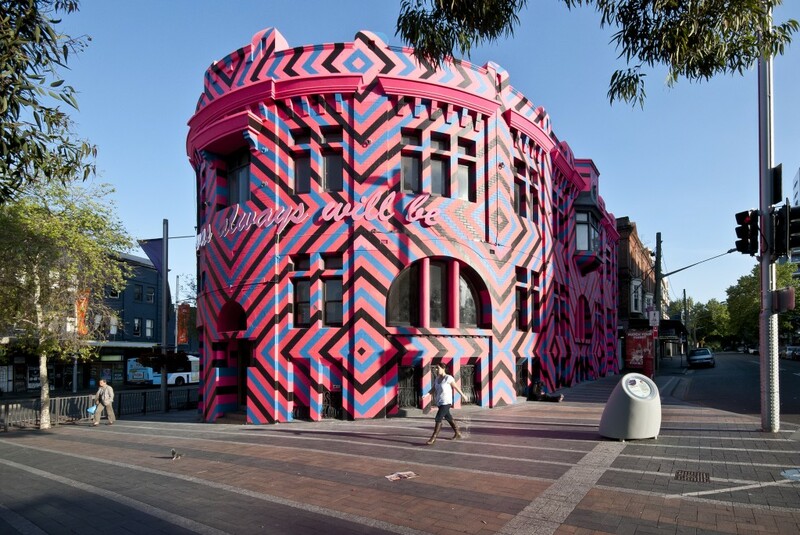 On the front of the building façade, neon text reading ‘Always was, always will be‘ is incorporated across the geometric diamonds. 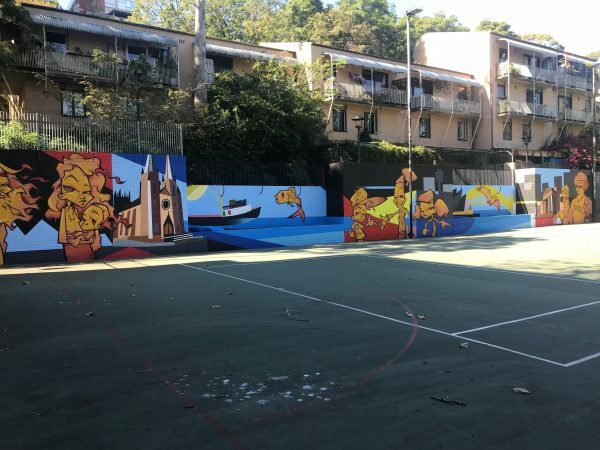 As a temporary work in this urban context the meaning is clear – this was Gadigal country and always will be Gadigal. 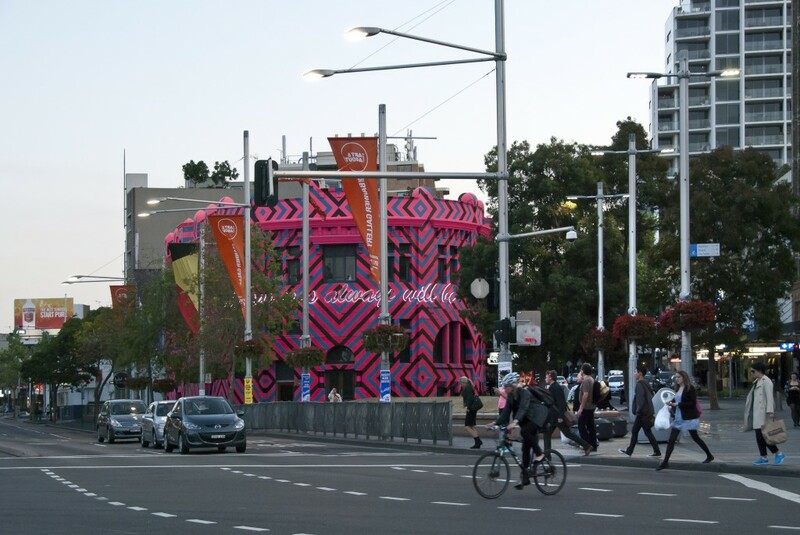 Reko Rennie collaborated with Cracknell and Lonergan Architects to realise the artwork in this public context and at this large scale. 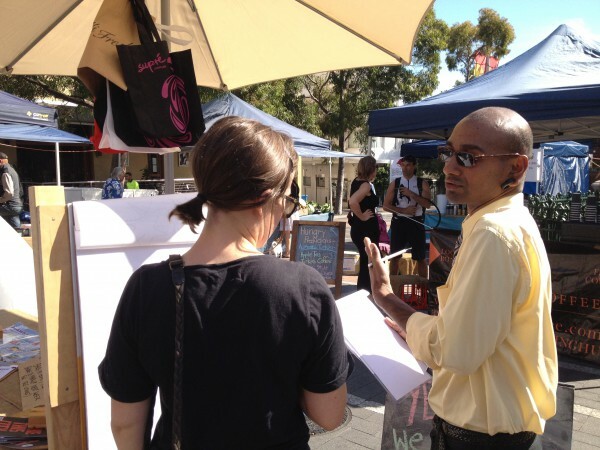 Reko Rennie is a Kamilaroi/Gamilaraay/Gummaroi man, born in Melbourne. 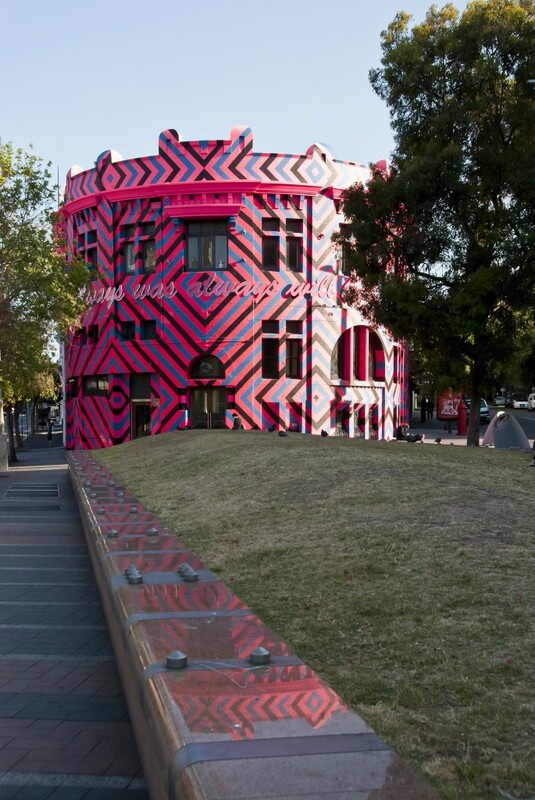 Rennie received no formal artistic training, but as a teenager he discovered graffiti, which would become an all-consuming passion. 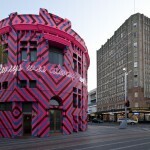 He quickly began producing original art on the streets of Melbourne and matured into an interrogative and highly innovative artist. 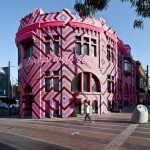 Through his art, Rennie explores what it means to be an urban Aboriginal in contemporary Australian society. 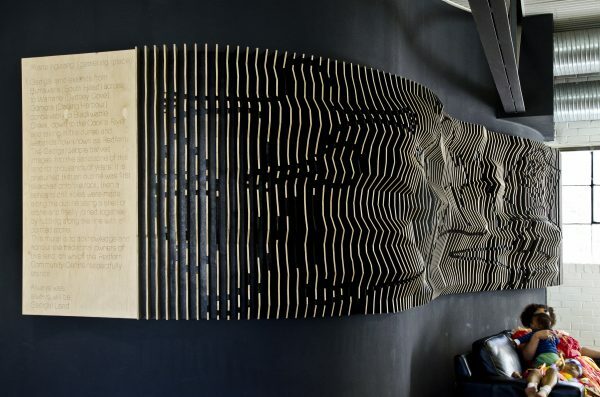 His art and installations continually explore issues of identity, race, law and justice, land rights, stolen generations and other issues affecting Aboriginal and Torres Strait Islanders. 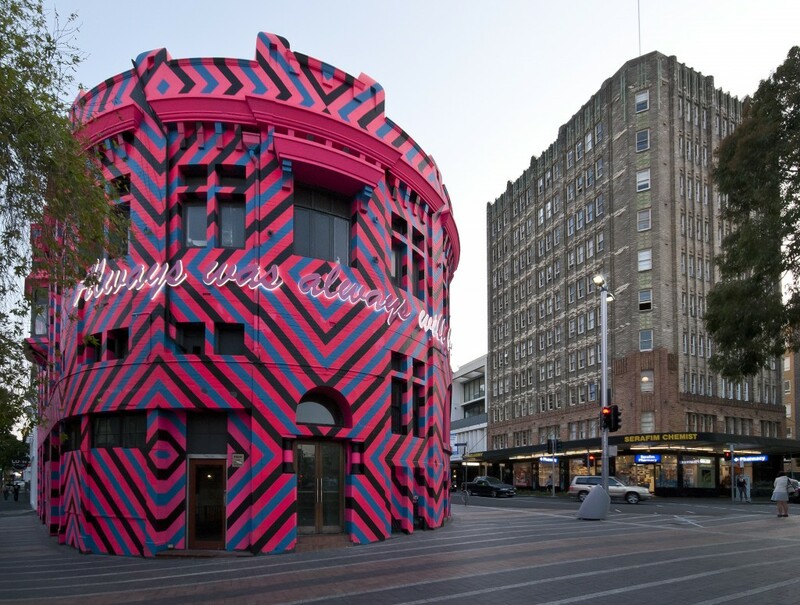 Drawing inspiration from his Aboriginal heritage, he recreates traditional images in a contemporary context using neon, projection, installation and spray paint. 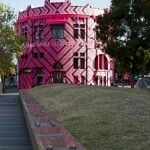 Streetware began in 2010 and is an ongoing temporary program of street art commissions. 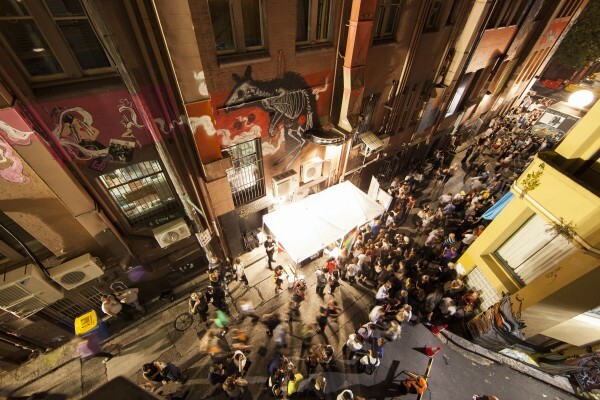 It aims to revitalise the City’s laneways and public spaces and support emerging artists in Sydney’s creative community. 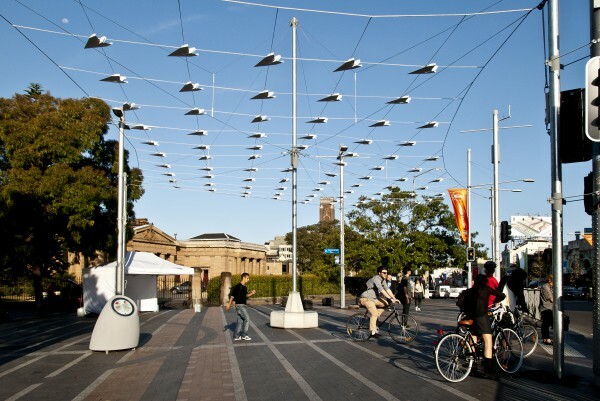 The third Streetware Program consisted of one major public artwork, Always was, always will be by Reko Rennie at Taylor Square.